Before you make any purchase for Photo Effects Software to create fantastic pictures that you’ve seen or only dreamed about. You need to read this very article! You’ve seen the pictures and you know they used some special photo editing software and now you want to get your hands on it now. You wish to create these fantastic photographs by knowing the same secrets as the pros. Well, you may be surprised to know what the real deal is in creating these works of art as some would call them. When you take photographs with your camera, you’re probably wondering how do they transform them into the final photos they become. The answer to your question is by using photo editing software, but there is more than one that can do the job. Depending on just what you want to accomplish you can create spectacular photographs from the pictures you take without using the top of the line software packages. This video below will show you a little of what you can do without the use of higher end software such as Adobe Photoshop, which will do these special effects, but you’ll see how to do it with other editing software. You can learn how to do all these special effects in the clip without the use of Photoshop. When you know how to use the features and functions of the tools supplied with the different software packages, then you’ll understand how you’ll be able to create your works of art. Each one of these pictures was originally a typical photograph until they went into a photo editing software package were you manipulate them into the final photos you see presented before you now. You can quickly learn what it takes to transform your photographs by learning the very principles behind the special effects. Some people will use programs like Adobe Lightroom or even Adobe Elements for doing some of their effects on photos. If you want to learn how to create them, then the videos and books that make up the total package to what you need for software, how to use the software and how you’ll transform your photos, then this is it. I do have other free video tutorials that you can learn all about different aspects of doing special effects in my free tutorial section dealing with the topics on software. At this time, they are not organized into special effects package but mixed in with other tutorials. You can find that at my “Say It With Photographs” page where you can click on my Monthly Newsletter to get full access to all the software tutorials. 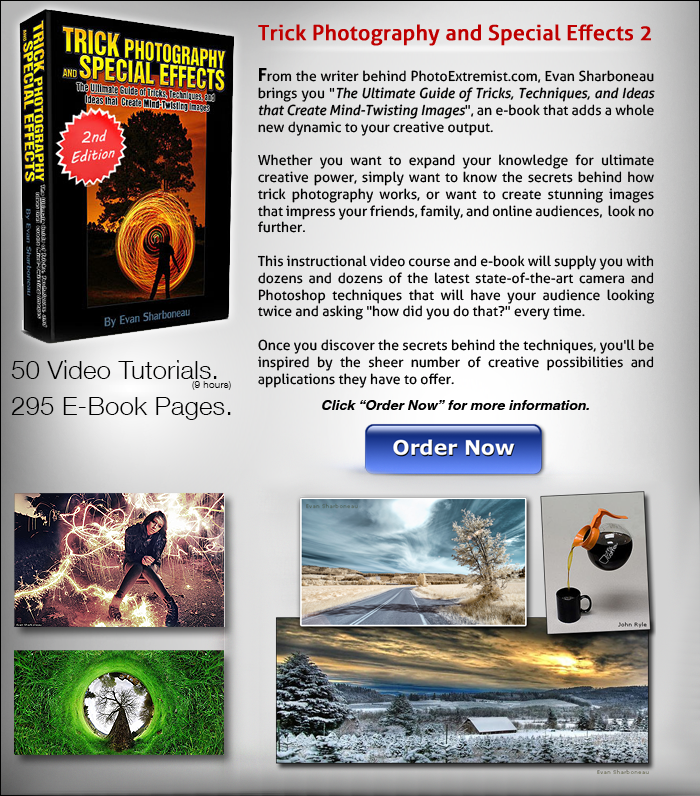 To get the complete course all at once showing you everything you need for Photo Effects Software all laid out with just the critical information you require, check out the link below. Everything you’ll need to know will be there. You’ll have the opportunity to decide whether you want to go ahead and learn from the information you’ll receive from the link below at a faster pace or my tutorial section above, at a much slower pace.